Adesys helps companies like yours eliminate technology challenges. 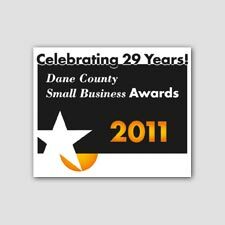 a•de•sys (adesys) noun 1. recognized as a Dane County Small Business of the Year for 2011. 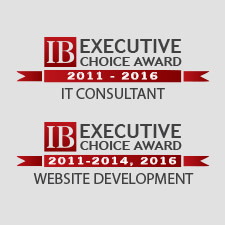 2. voted as a top Local IT Consultant and/or Local Website Services company for the past seven years by InBusiness Magazine. Adesys partners with small to medium-sized companies who are looking to invest in their business using the power of technology. Our team has a wealth of capability, but we're solely focused on one goal; yours. All too often we hear new and prospective client's frustrations with their current technology and previous "IT guys". They built an infrastructure or website full of bells and whistles hoping for huge gains or a flood of new business, but ended up with a system that fell far short of their goals. Difficult to manage and frustrating to use; these failed systems become a drain on the business and actively turn employees and customers away. At Adesys, we approach your project differently. When we partner with a business like yours, we start with a focused look at your goals. From your goals we develop a strategy to enable your business to reach success using the best tools and techniques available. That's the best way we can help you invest in your business. It's not about our beautiful designs or our professional network architecture. It's not about bells and whistles; it's about how much value we can bring to your business. That's what Adesys is all about. For the eighth consecutive year, Adesys has been recognized as a winner or a finalist in the categories of "IT Consultant" and "Website Development"
For the eighth consecutive year, Adesys has been recognized as a winner or a finalist in the categories of "IT Consultant" and "Website Development". 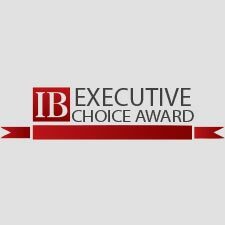 Each year, InBusiness Madison asks members of their Executive Register to list their "preferred" local businesses in almost three dozen categories, and these companies are recognized with a conveted IB Executive Choice Award. Because the ECAs use a fill-in-the-blank style survey, only top-of-mind vendors are typically mentioned. Nevertheless, the first, second, and third place ECA winners represent the best the Greater Madison business community has to offer. Thank you very much to our customers and partners for your nominations! 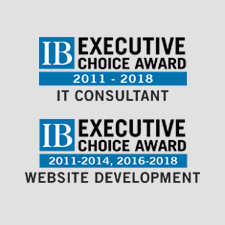 Adesys was recognized once again by InBusiness Magazine as the winner for "Local IT Consultant" and a finalist for "Website Development" in their annual Executive Choice Awards. This is the eighth consecutive year that Adesys has been awarded an Executive Choice Award. 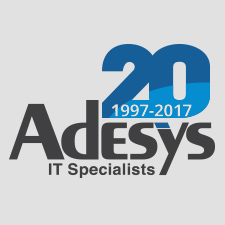 2017 marks the 20th anniversary of Adesys. We thank our customers, our team, and our community for their trust, support, and hard work over the past two decades, and we look forward to the next 20 years. Adesys was recognized once again by InBusiness Magazine as the winner for "Local IT Consultant" and a finalist for "Website Development" in their annual Executive Choice Awards. This is the sixth consecutive year that Adesys has been awarded an Executive Choice Award. 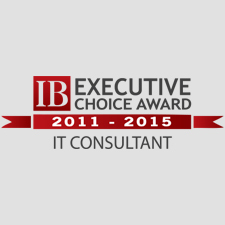 Adesys was recognized by InBusiness Magazine as the winner for "Local IT Consultant" in their annual Executive Choice Awards. Adesys has been awarded either the winner or a finalist for five consecutive years! 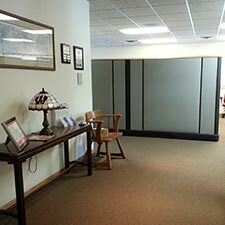 On January 17, 2014, we moved to our new location at the corner of Fish Hatchery Road and McKee Road to accommodate for our growing company. You may recognize our new building as the former Tony Roma's restaurant. And yes, we did remove the bar. Adesys was recognized by InBusiness Magazine as a winner or a finalist for both "Local IT Consultant" and "Local Website Services" company for the third consecutive year. Adesys was honored to accept the 2011 Dane County Small Business of the Year Award. This prestigious award recognized ten businesses for their business accomplishments, employee recognition and benefits, and the companies' involvement in their community. Our first office space! 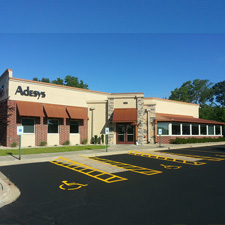 Adesys moved into an office space located on the corner of Seminole Hwy and McKee Road. The new space will allow for growth in all areas of the company; new staff, new services, and improved brand recognition. 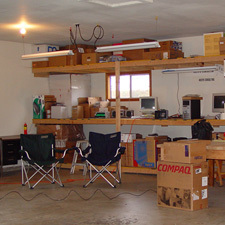 Adesys was located in a garage which functioned as a make-shift office space. We sure have come a long way! 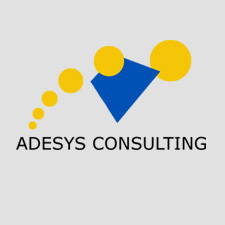 Adesys was founded in 1997 by Jason Adamany with the goal of building a reputable IT consulting company targeting small and medium sized-businesses.